Buying Rural Northern AZ Land – FAQ’s – What Do You Want? What Type of Arizona Property Do I Need? What kind of rural Arizona land fits your particular needs. What are you dreaming of? Your plan for the land is the key to finding the unique parcel that will work for you. Size, remoteness, terrain, soil, water, power, climate and the view are all things to be considered in looking for land. How Big? How much land would answer your needs? Rural properties come in plots from under an acre to entire sections (640 acres). In the Kingman, Hackberry and Wikieup areas 36 to 40 acre parcels are the most common. Think about what you need for what you are dreaming of doing with it? How Remote? Rural Arizona land can be 5 miles from town or 70 miles away. Think about how far you want to go for groceries, supplies, entertainment, and medical care? Do you have a 4-wheel drive vehicle or do you want to be able to get in and out in your 2-wheel drive. Do you want to be a mile from a paved road or 6 miles? What Does It Look Like? 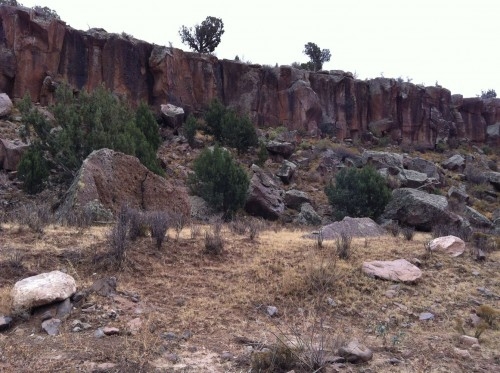 –– Land in Northern Arizona comes many varieties. Some lots are flat, sandy, open and treeless, some are sandy and very rough with rock formations and washes, some are heavily treed with juniper and pinion pines, some are rugged, mountainous properties with hidden streams and canyons and others are cool high parcels with huge Ponderosa Pines. What is the Soil Like? Is the land fertile enough to support that large garden you are thinking of? Is it porous enough to allow for a traditional septic tank to be installed? Is the soil stable enough to allow for a stable building pad. Is the well estimate affordable or quite high? Is Good Quality Water Available? Some areas have great drinking water close enough to the surface so that you can drill a well but in others you have to plan to haul your water from a community well or pay to have it delivered. Is Power Close Enough to Tie to The Grid? Don’t be fooled by the presense of electric lines near your parcel – some lines only transmit power. In many rural areas, especially on larger parcels, if you want power, you will have to install a gas generator, solar and/or wind power. Is the Climate What You Want? Many areas of Arizona are blessed with longer periods of mild weather so you will be able to enjoy your rural land for much of the year. Some areas are low and hot and some are high and cold in the winter. Find out before you buy! What Kind of View Entices You? In some areas of Northern Arizona there are long open views from any parcel in an area, in others you have to find land on a hilltop to get a long vista, while others have trees and boulder views.